Mobile crushing plant is a kind of movable crushing process for stone crushing. It can be also regarded as a simple stone production line, which is widely applied in the fields of railway, road, construction, water conservancy, metallurgy and other industries. Based on the raw material type, scale, finished products requirements, and small processing site, mobile crushing plant is suitable for the construction waste treatment and crushing. 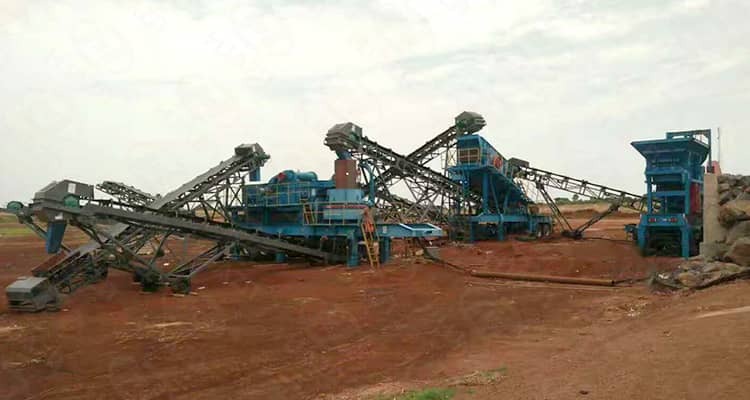 It has coarse crushing plant, medium crushing plant and fine crushing plant. 1. It can be used for climbing work, meet the crushing requirement for mining, hydropower station, and coal mine project. 2. It has light weight, small size, especially suitable for the narrow field work. 3. It is convenient for transportation, not damage the road surface, can be equipped with multi-function device, with wide application. 4. It is equipped with power unit and designed in optimal. Next Article: How to Repair the Roll Crusher?